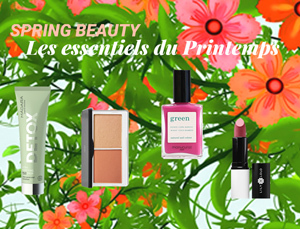 Toners and floral waters supplement make-up removal and cleansing. They gently and thoroughly remove dirt particles, skincare product residues and makeup and excess grease from the skin, rebalance, tone, purify and refresh the skin. 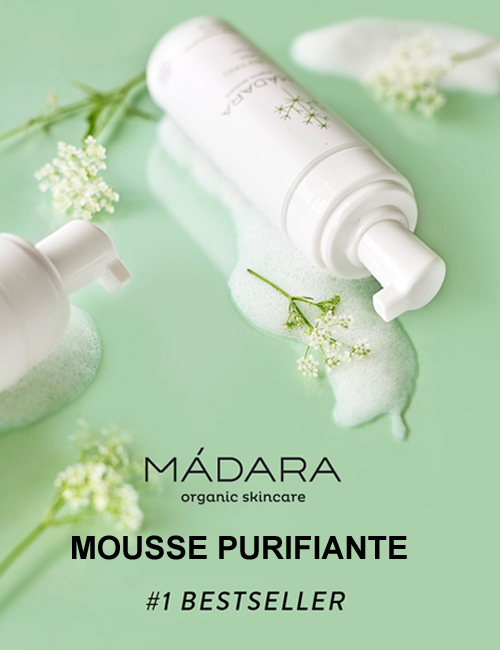 All-in-one, no-rinse cleansing - MADARA's Micellar Water is ideal for daily use and perfect for travel. Removes make-up and impurities, balances and hydrates even sensitive skin in one single step. 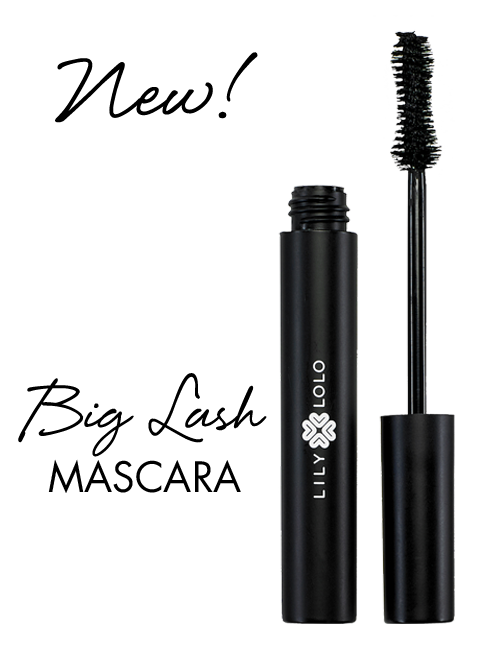 Based on moisturising aloe vera, skin quenching hyaluronic acid and calming Northern peony. This completely natural toner is a gentle yet effective way to help minimize enlarged pores and combat oiliness, leaving your skin feeling fresh and toned. As well as being an excellent skin toner and freshener, witch hazel is traditionally used to treat minor cuts, burns, rashes & insect bites. Normal and Combination skin. This refreshing and regulating toner returns imbalanced skin back to its healthy state. Helps to renew the skin’s natural protective layer, deeply tones and conditions, minimises pores, regulates the skin’s natural pH balance and boosts the effects of moisturiser. MADARA's Comforting Toner, a pH balancing formula with soothing floral waters of cornflower and rose, camomile extract and skin-identical natural moisturising ingredients makes the skin look clean, fresh and quenched. Oily and Combination skin. 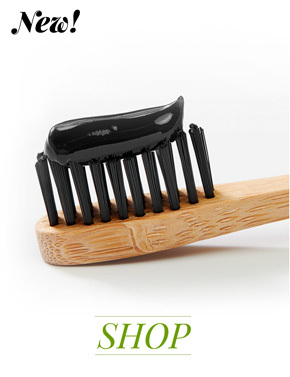 Deeply exfoliates clogged and oily skin. The astringent toner purifies, reduces shine, minimises pores, prevents blemishes and regulates the skin’s natural pH balance. This beautifully fragrant Balm Balm Rose Flower Water is wonderfully versatile. 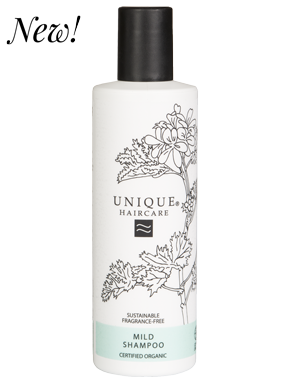 Use it as a gentle toner or simply as an all over freshener or 'pick me up'. Perfect for travelling and to pop in your handbag! This beautifully fragrant Balm Balm Rose Flower Water is wonderfully versatile. 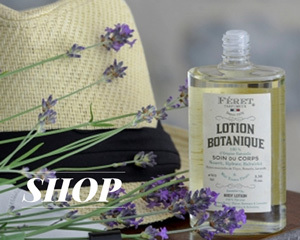 Use it as a gentle toner or simply as an all over freshener or 'pick me up'. All skin types. 100% organic. Frankincense hydrosol, the soothing, cooling & meditative by-product from the steam distillation of Frankincense essential oil. Spritz Balm Balm Frankincense Soothing Facial Tonic over clean skin to refine skin texture. 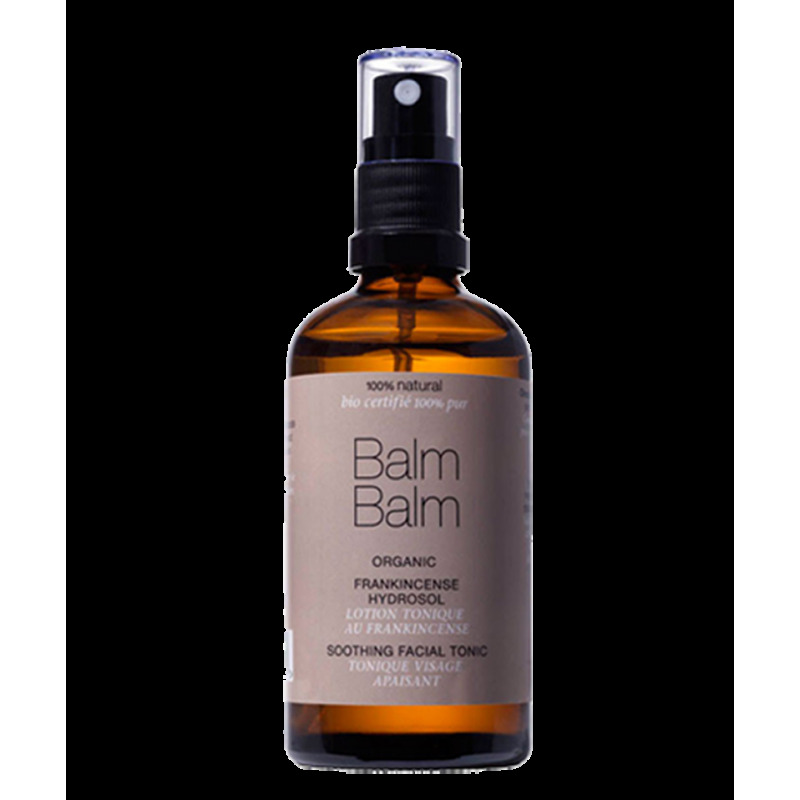 Balm Balm Frankincense Soothing Facial Tonic. 100ml Spray Bottle. 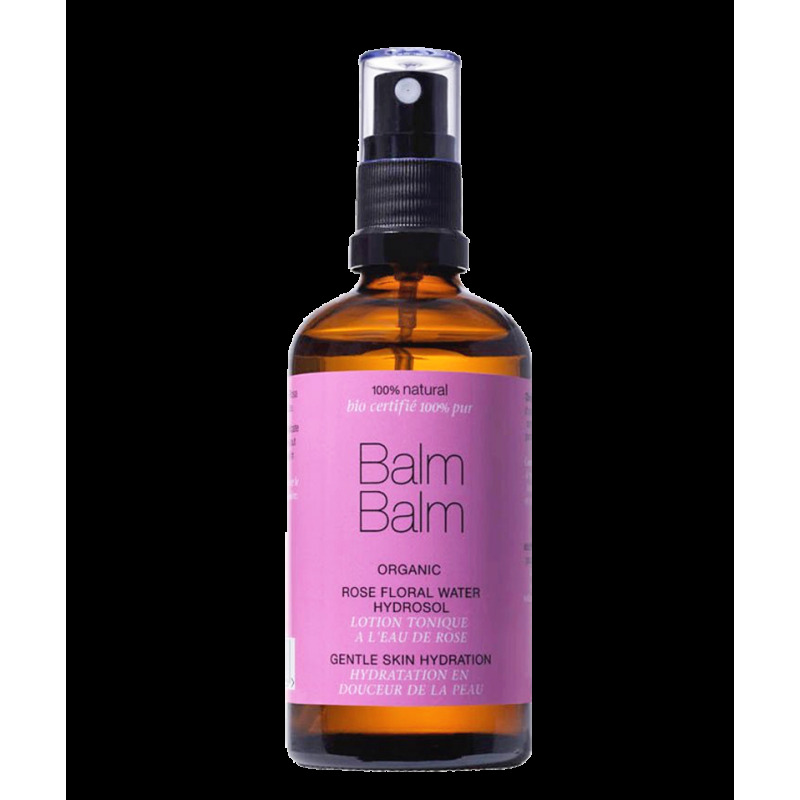 Perfect for travel, a gift or just to try Balm Balm's wonderful 100% Organic Facial range. Gorgeous mini versions of each of Balm Balm's Facial Range products and one muslin cloth in an organic cotton bag. City-proof skincare for all skin types. London, Paris, Berlin, Riga, New York or Tokyo – outshine every city with MADARA's fabulous travel kit that will purify your skin, protect it from pollutants and boost hydration. An antioxidant-rich, olive oil–based care set featuring convenient mini sizes of Deep Cleansing Oil cleanser and makeup remover, gentle yet effective Mild Soap, refreshing Mild Lotion toner and DHC's signature moisturizer, Olive Virgin Oil. Perfect for all skin types.